Ariana made the View C, with several minor alterations. She pressed the center front and back pleats into box pleats, and pressed the remaining pleats to the sides, thus making them knife pleats. 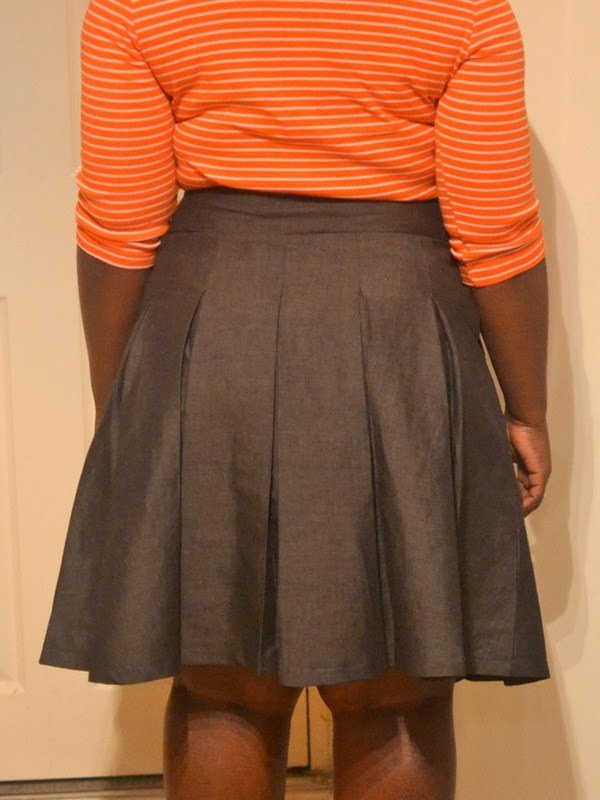 She also topstitshed the top of the pleats. 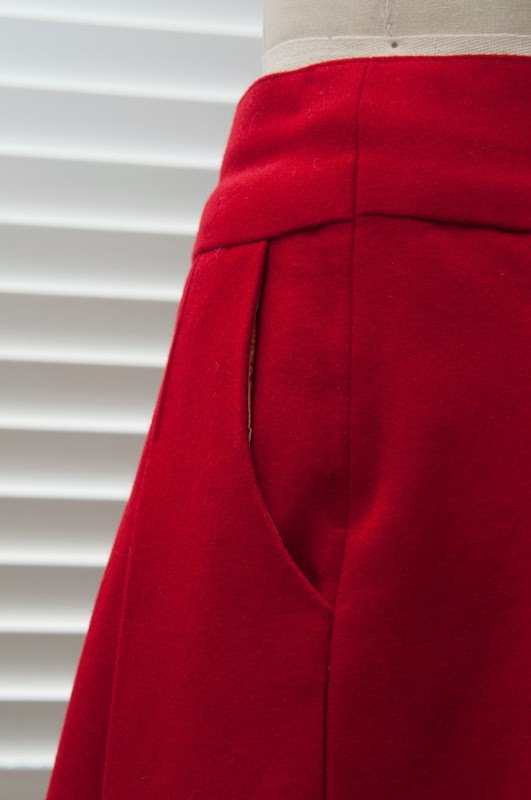 An interesting detail is that she sewed the zipper by hand. She suggested offering the same pattern in a maxi length, which would surely look great. However, due to the pattern's width the cutting layout would have to be laid on a cross grain instead of a straight grain. Anyways, you can easily lengthen the skirt according to your length preferences. Visit Ariana's blog Ariana Bauer. 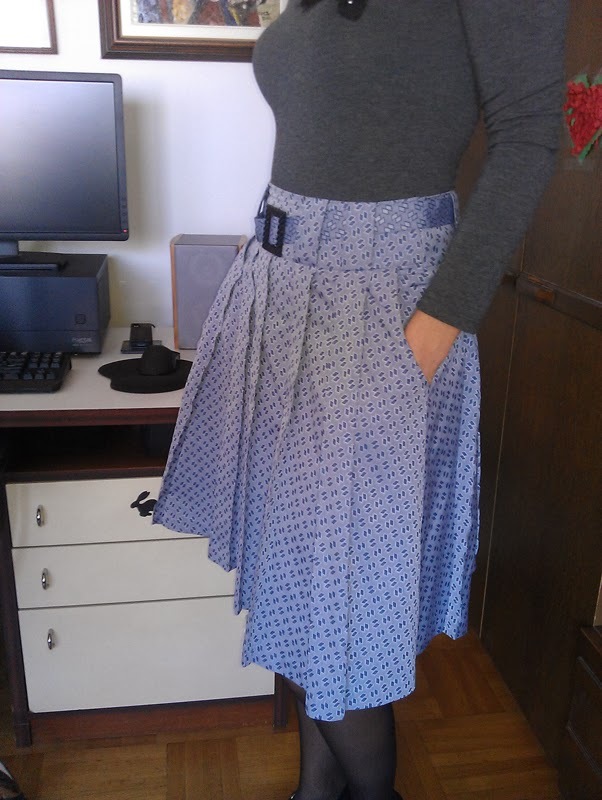 Right agter I posted about how Mira pushed me to publish the Zlata skirt pattern for sale, she emailed me again, with some new pics and a new skirt. This time, she made a skirt as a present for her friend. Additionally, she made a matching belt. Isn't she great? Miss Dibs and I have a long history of online chatting and I can't be indifferent about her take on the Zlata skirt. She had a true drama at home while making the skirt, yet she managed to complete the skirt on time, so I am forever grateful to her. She made the view C with taupe linen, and enhanced the pattern lines with a subtle piping. 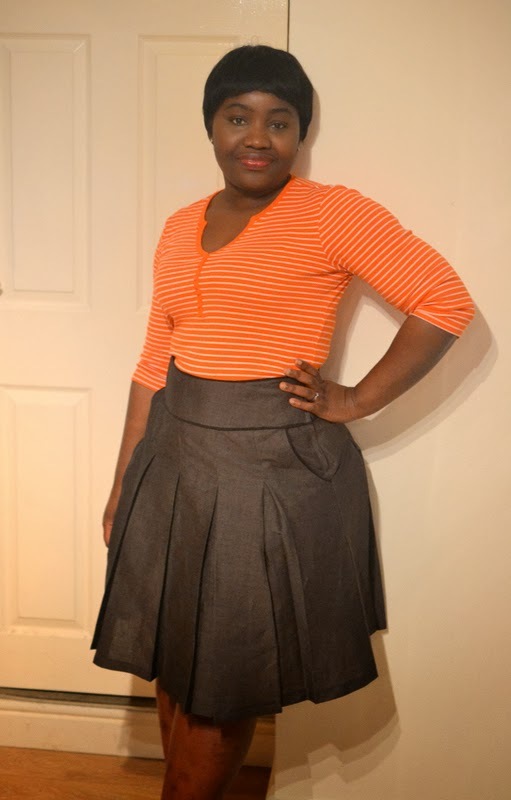 Read more about the skirt and her testing experience on her blog Dibs and the Machine. Finally, I have to share with you a great idea that never occurred to me, that was executed by Jelena. You see, she made two skirts while testing the pattern. One of them was made after the View A, using a lovely cotton in blue and pink print. 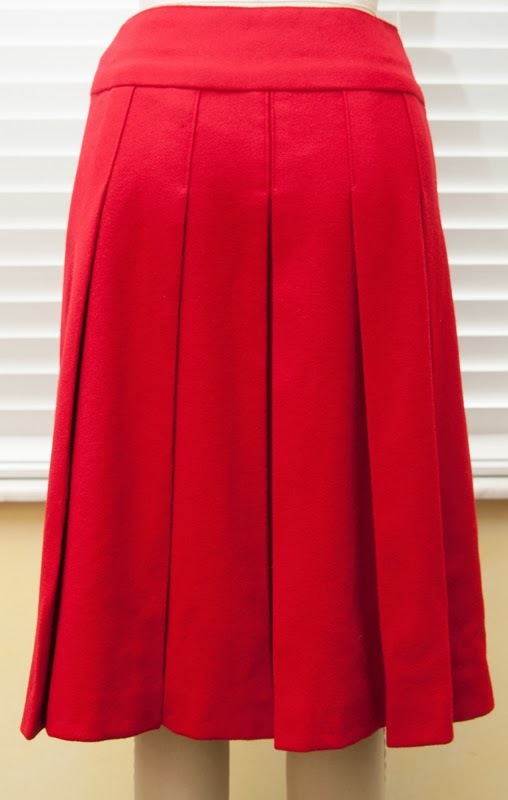 She edgestitched all the pleat folds in order to make the skirt maintenance easier. The skirt turned out so so cute. 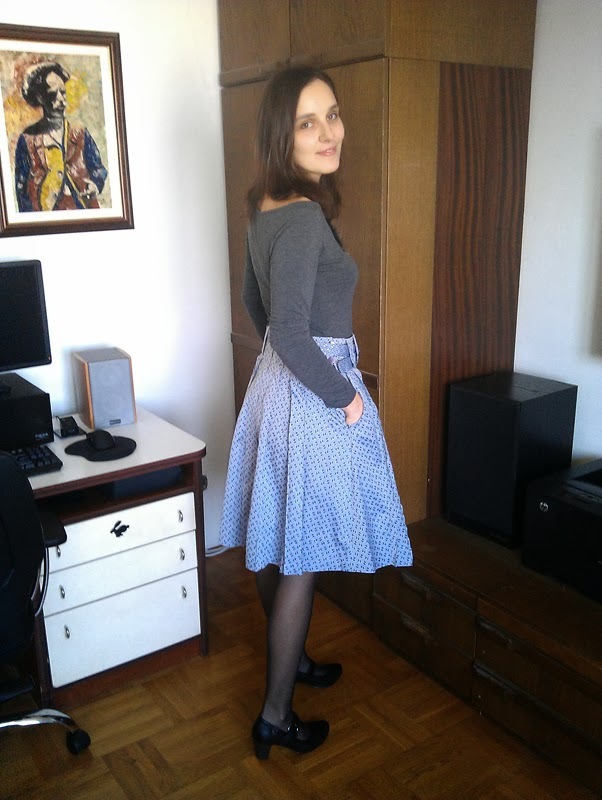 However, she blew my mind with her second skirt, which she made using the lining pattern, and guess what? The skirt is reversible! She used two kinds of fabrics: a woven fabric with elastine, which has a tiger print, and a plain black jersey. 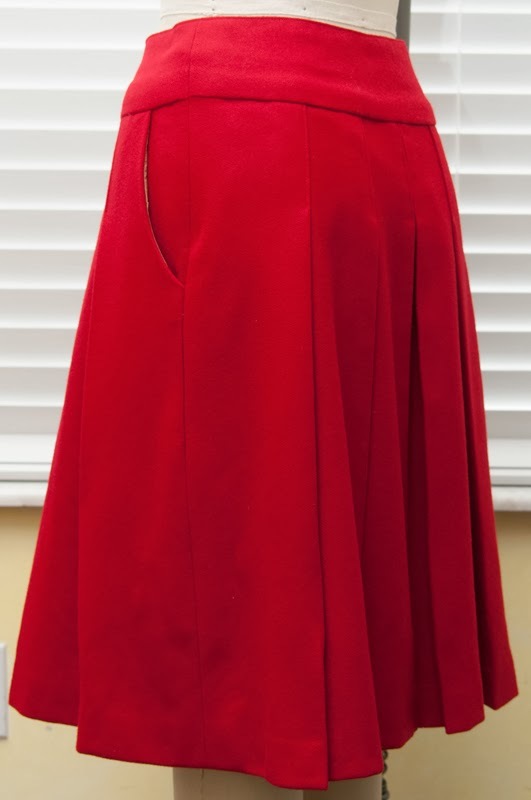 Since both fabrics were stretchy, she omitted a zipper, but she added an elastic to the waist band. The black layer is a bit longer than the printed one, and it gives the skirt a nice balance when worn from the printed side, as it has a black waist yoke. When reversed, the skirt reveals a cute and unexpected trim at the border, which has bias bands in tiger print topstitched over it. 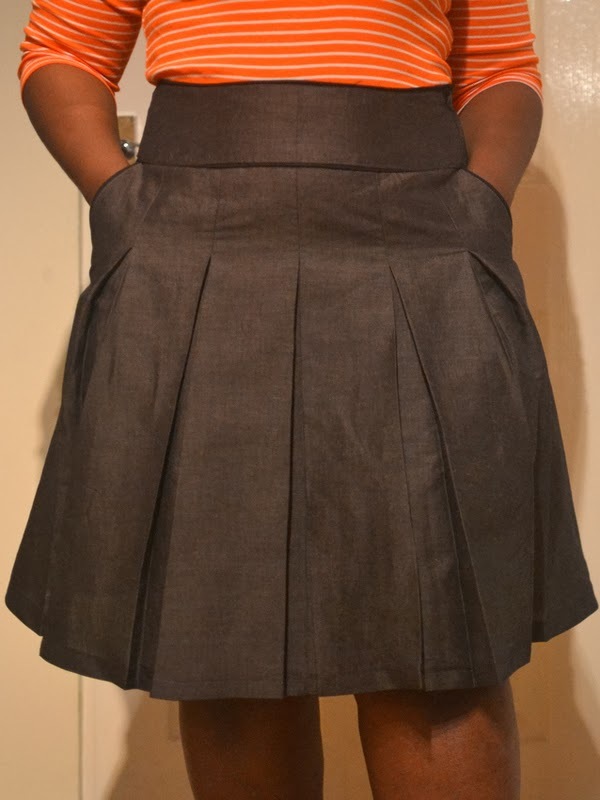 Again, the border gives a great balance to the skirt, which now has a waist yoke in the print. 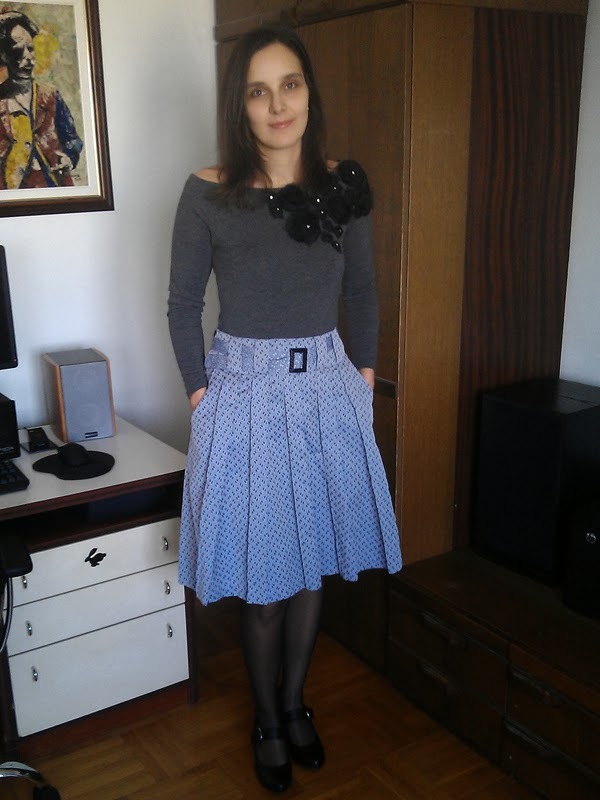 I am amazed by Jelena's idea and by how practical and versatile this skirt is. Read more about Jelena's take on Zlata pattern on her blog Krpena Lutkica (note: the blog is in Serbian, with occasional posts in English). Don't forget the Zlata skirt sewalong, that starts on Monday, March 3rd. I'll guide you through all of the sewing steps - from fabric recommendations to hemming the skirt. Additionally, I'll give you some guides and suggestions on how to alter the pattern in order to get several new styling options.